Countries colored in brown rank highly in the Growth Competitiveness Index 2004 – 2005, World Economic Forum. Black circles represent select biotechnology and life sciences clusters. * Cited no. 8 for Total Life Sciences Current Impact by Devol (2005) defined as pharmaceutical, biotechnology, medical devices, and R&D in the life sciences. Minneapolis/St. Paul/Rochester is principally a medical device cluster. Devol,Ross et al. “America’s Biotech and Life Science Clusters: San Diego’s Position and Economic Contributions” The Milken Institute, June 2004. Devol,Ross et al. 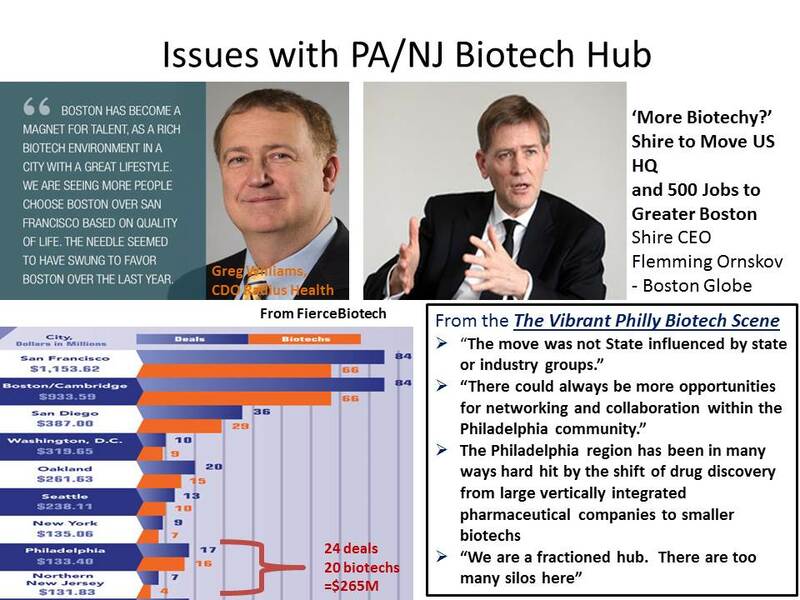 “The Greater Philadelphia Life Sciences Cluster: An Economic and Comparative Assessment” The Milken Institute, June 2005. “Health Biotechnology Innovation in Developing Countries” Canadian Program on Genomic and Global Health at the University of Toronto Joint Centre for Bioethics, Nature Biotechnology 22 (12s): December 2004. Map is a Mercator projection that exaggerates the size of areas far from the equator. Andersen, Jørn Bang, “Establishment of Nordic Innovation Centres in Asia?” by the Nordic Innovation Centre for the Nordic Council of Ministers, Copenhagen, 2008. Dimova, Maria, Andres Mitnik, Paula Suarez-Buitron and Marcos Siqueira. “Brazil Biotech Cluster: Minas Gerais” [PDF] Institute for Strategy and Competitiveness, Harvard Business School, Spring 2009. Encyclopedia of Globalization, Routledge, November 2006. Hamdouch, Abdelillah and Feng He. 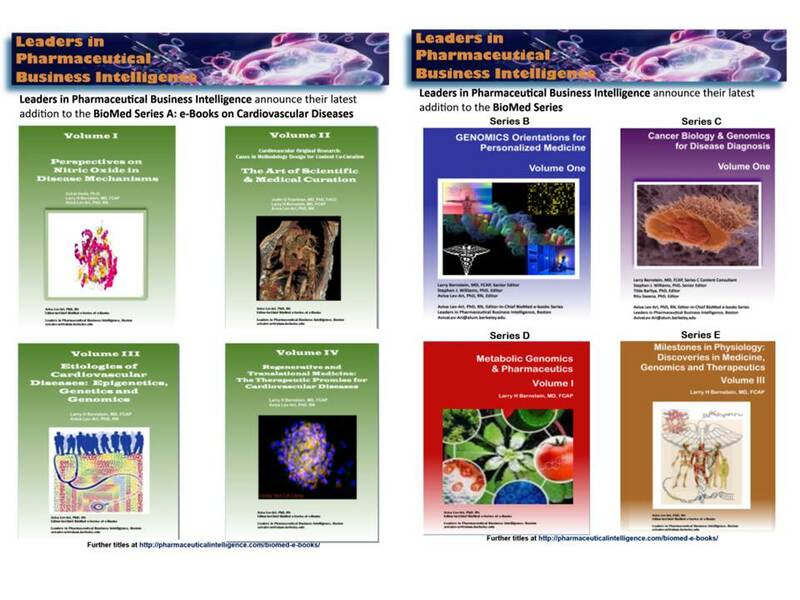 “R&D Offshoring and Clustering Dynamics in Pharmaceuticals and Biotechnology: Insights from the Chinese Case,” [PDF] The Spirit of Innovation Forum III, May 14-16, 2007. Loh, Melvyn Wei Ming, “Riding the Biotechnology Wave: A Mixed-Methods Analysis of Malaysia’s emerging Biotechnology industry” [PDF] Victoria University of Wellington, New Zealand, 2009. 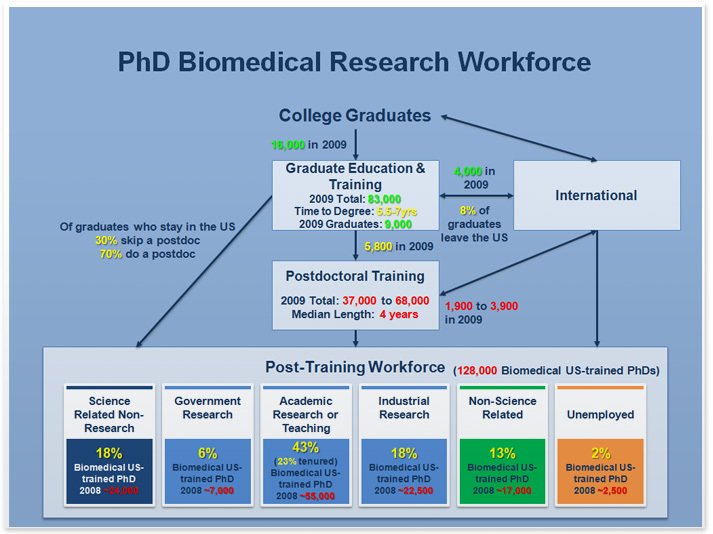 Murray, Fiona and Helen Hsi, “Knowledge Workers in Biotechnology: Occupational Structures, Careers & Skill Demands” [PDF] MIT Sloan School of Management, September 2007. Royer, Susanne, “Crossing-borders: International Clusters: An analysis of Medicon Valley based on Value-Adding Web “ [PDF] University of Flensburg, July 8, 2007. The 26th annual issue of Beyond borders, E&Y annual report on the global biotechnology industry. But even as things are heading back to normal on the financial performance front, the financing situation remains mired in the “new normal” we have been describing for the last few years. While the biotech industry raised more capital in 2011 than at any time since the genomics bubble of 2000, this increase was driven entirely by large debt financings by the industry’s commercial leaders. The money flowing to the vast majority of smaller firms, including pre-commercial, R&D-phase companies — a measure we refer to as “innovation capital” — has remained flat for the last several years. As such, the question we have posed for the last two years is more relevant than ever: how can biotech innovation be sustained during a time of serious resource constraints? These are timely topics, and we look forward to exploring them with you. 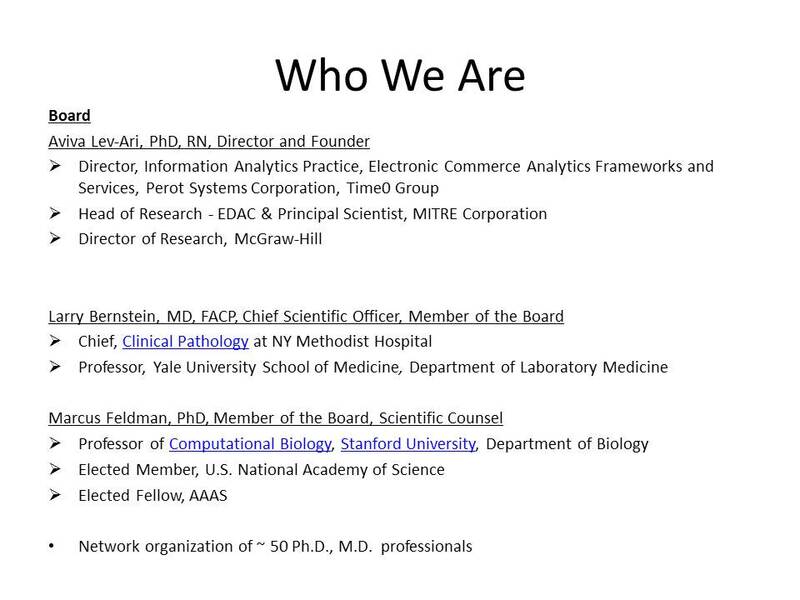 Holistic open learning networks -Holistic open learning networks (HOLNets) could make R&D shades more efficient by harnessing the power of big data to develop real-time insights.Even as biotech adjusts to its new normal, health care is moving to an outcomes-based ecosystem characterized by new incentives, new technologies and big data. HOLNets could reinvent R&D by pooling data, creating standards and engaging regulators and patients. Now, more than ever, this approach is feasible because it is in the self interest of the entities that would need to be part of it. Numbers may appear inconsistent because of rounding. The acquisition of three large US companies — Genzyme Corp., Cephalon and Talecris Biotherapeutics —by non-biotech buyers made a significant dent in the industry’s 2011 performance. To get a sense of the organic “apples-to-apples” growth of the industry, we have therefore calculated normalized growth rates that remove these three firms from the 2010 numbers. After adjusting for these large acquisitions, the industry’s revenue growth rate returned to double-digit territory for the first time since the global financial crisis. R&D grew by 9% in 2011, after being slashed in 2009 and growing by a modest 2% in 2010. As always, since the US accounts for a large majority of the industry’s revenues, the US story is very similar to the global one. After normalizing for the acquisitions of Genzyme, Cephalon and Talecris , the US industry’s revenues increased by 12%, outpacing the 10% growth rate seen in 2010 and 2009 (adjusted for the Genentech acquisition). Big pharma stayed away from M&A deals -Given the critical role that big pharma could play in supporting the biotech innovation ecosystem and the fact that the expected exit for most venture investors is an acquisition, this lack of activity is unsettling.With big pharma in the midst of crossing the long-awaited patent cliff, many expected a more pronounced upsurge in transactions — particularly for targets with product revenue or very late-stage product candidates. However, only Sanofi’s acquisition of Genzyme (which really played out in 2010 but did not get finally negotiated and closed until 2011) entered the ranks of the year’s 10 largest deals. Even more noteworthy, big pharma was the buyer in only 7 of the year’s 57 M&A transactions. 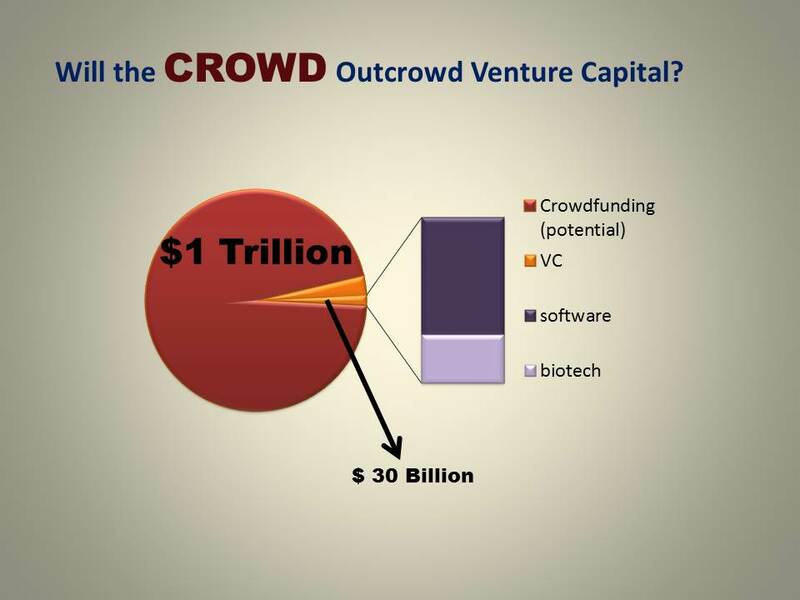 Source: Ernst & Young, Capital IQ, MedTRACK and company news. Chart excludes transactions where deal terms were not publicly disclosed. Meanwhile, the number of strategic alliances declined for the second straight year, and the potential “biobucks” value of these deals hit a six-year low. Pharmaceutical, biotechnology and medical device company managers serving every R&D function — from discovery and manufacturing through post-approval clinical trials — are keenly aware today of the integral role that outsourcing plays in supplementing capacity and expertise. Demand for outsourced services has increased sharply as drug and device development sponsors have downsized and consolidated infrastructure in response to a sharp global economic downturn, poor short-term revenue growth prospects and costly and inefficient operating conditions. In addition, startups and small companies actively leverage contract service providers to gain access to expertise and skills not available internally.Contract service organizations have proliferated across a wide spectrum of R&D services areas. A 2011 analysis by Tufts Center for the Study of Drug Development (Tufts CSDD) found a nearly four-fold increase in the number of contract research organizations (CROs) in the U.S. alone during the past decade: Whereas an estimated 800 contract service providers operated in the U.S. in 2000, more than 3,100 did so at the end of 2011. (Data on the proliferation of contract R&D service providers in Europe and in other regions around the world are not available.) In another study, Tufts CSDD found that in 2010, CRO-employed professionals were more than doubling the capacity of the global drug development enterprise — the first time in history when CROs were providing more head count in support of R&D activity than were pharma and biopharma companies. Despite this dramatic proliferation during the last 10 years, however, little information exists that characterizes the size and characteristics of the overall global outsourcing landscape. Coverage of CRO markets and usage practices by peer-review and trade journals has largely focused on individual service areas aligned with either each publisher’s readership or the author’s primary area of expertise. 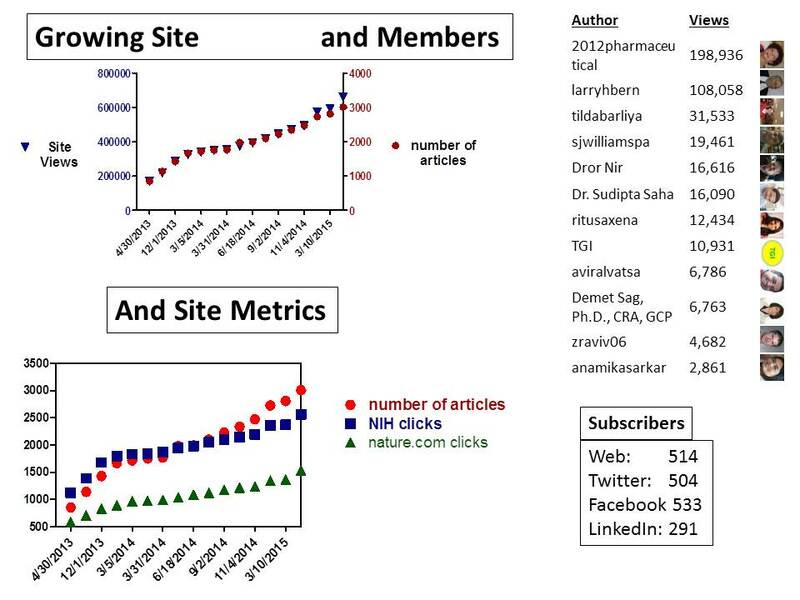 Contract lead identification and optimization services markets and practices, for example, tend to be covered in publications reaching discovery scientists. Similarly, the contract formulation services area is typically discussed in publications catering to professionals in chemistry, manufacturing and controls. 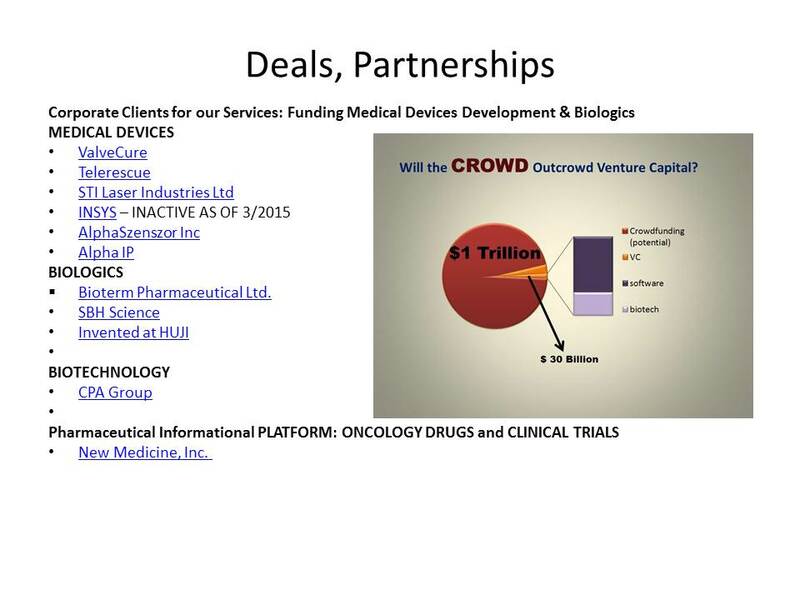 Some directories (e.g., Contract Pharma (www.contractpharma.com/csd), PharmaCircle (www.pharmacircle.com)) profile companies across contract R&D service areas. 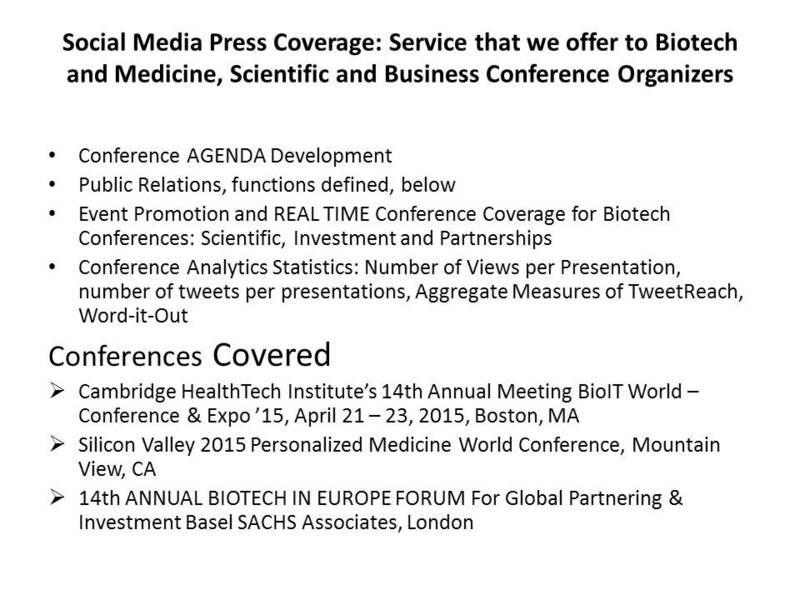 These directories do not publish macro-analyses of the global aggregate R&D outsourcing market. Capital market analysts and industry observers have also largely focused on characterizing only the most mature R&D outsourcing markets: contract clinical and preclinical research services. These markets have historically had the highest prevalence of large, publicly-traded companies making it relatively easy to monitor performance, assess transactions and evaluate corporate strategies. Goldman Sachs, UBS, Fairmount Partners, Jefferies and William Blair are among the many financial services firms that support transactions and cover developments in the global outsourcing marketplace. Published reports from these organizations typically only cover and estimate the size of the clinical and preclinical markets — a fraction of the total contract services marketplace. Industry professionals and analysts tend to use these estimates as proxy measures for total market size when they grossly underestimate the size of the overall outsourcing market. Two recent reports stand out as noteworthy attempts to size the overall CRO market and affirm the growing interest in this aggregate market metric: the Harris Williams & Company 2008 Market Monitor report and the 2011 BCC Research Report. The former report focused on the larger healthcare and life sciences arena but estimated — using a top-down approach — the size of the contract clinical, preclinical, manufacturing, clinical laboratory and sales markets. Harris Williams, a private investment banking firm, estimated that the total market for these specific service areas in 2008 reached approximately $75 billion. The later BCC Research report sized the overall 2011 global outsourcing market at $217.9 billion. This top-down analysis included not only contract service providers supporting prescription drugs, but also over-the-counter and nutraceuticals products. As demand for — and the adoption of — contract research services has grown there is a greater need for more accurate and comprehensive measures of the size and structure of the overall landscape. Better metrics assist companies and analysts in assessing the financial health, trends, structure, operating conditions and maturity of the overall market for contract research services. Sponsor companies can also use these metrics for strategic planning purposes and to forecast the impact of new management practices on the landscape. More accurate metrics enable analysts to monitor consolidation, diversification and divestiture activities. And more accurate descriptive statistics on the landscape assist CRO companies in developing, implementing and evaluating strategic initiatives. In late 2010, Tufts CSDD began a new study using a rigorous, bottom-up approach to independently size the U.S. market for all contract R&D services. The goal of the study was to perform a carefully designed, methodical and systematic market-sizing study using actual data wherever possible. It is our hope that this initial but definitive quantitative assessment will serve as a basis for sizing contract service providers in Europe and in the rest of the world, and that it will better inform discussion, analysis and understanding of the global outsourcing landscape. Tufts CSDD focused on the U.S. market for this initial study due to the labor-intensive nature of analyzing a large, fragmented market predominantly made up of small, privately held organizations and independent consultants. Tufts CSDD developed detailed definitions of primary contract service markets, and compiled a list — to the best of its ability — of all known contract service providers in each respective market within high concentration metropolitan and industrial areas. A total of 15 major geographic clusters, defined by Metropolitan Statistical Area (MSA), were identified and analyzed. These clusters capture approximately 75% of the list of contract service companies operating in the US. Contract service companies operating within these 15 geographic regions likely capture an even larger proportion of total U.S. outsourced services revenue as these companies include all the major, widely-recognized players. Data on more than 4,500 companies — some of them divisions or branches of diversified players — were analyzed. Figure 2 provides a visual representation of the 15 highest concentration areas of contract R&D services providers in the United States. These concentrated areas of contract service providers are in close proximity to geographic areas where pharmaceutical, biotechnology and manufacturing sectors in the US originated. Pure-play companies: companies offering only one service area main-category. Examples of pure-play companies include: Abpro Corporation, cGMP Validation LLC. and Profacgen. Mid-sized companies: companies with two to five service area main-categories. 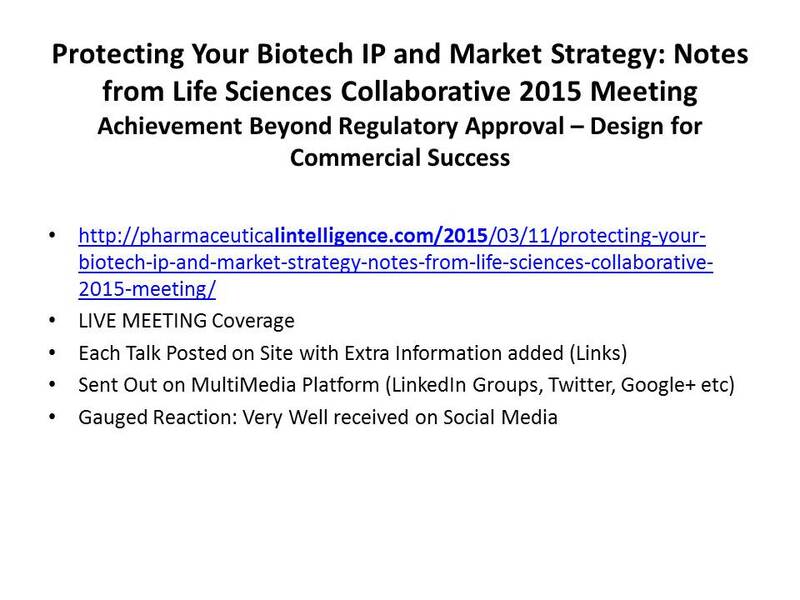 Examples include: Accugenix Inc., Beckloff Associates Inc., QS Pharma and the Zitter Group. Tufts CSDD used company websites to determine branch and satellite office locations. If a company did not have a website, it was removed from the analysis. If the website did not specify which site performed which service, it was assumed that all locations offered the same number of services. For publicly traded companies, Tufts CSDD used published company reports — annual reports, 10Ks, trade journal and newspaper articles — for operating information, revenue figures, locations and employee size. For privately held companies, Tufts CSDD used Hoovers.com. Pure-play companies: assigned average revenue and employee values based on actual data from other pure-play companies. Mid-sized companies: derived revenue and employee values based on actual data from companies of equal size and diversity. Conglomerate companies: derived revenue and employee values based on actual data from companies of equal size and diversity. Public companies: If service area-specific revenue and employee data was not reported, values were distributed equally across service areas. In total, 3,244 unique contract R&D service companies actively operating in the U.S. were identified and analyzed. These companies generated an estimated $32.9 to $39.5 billion in contract R&D services revenue with the largest share coming from the CMC and Non-Clinical market segments — 29%, and 21% respectively. The U.S. Clinical Research Services segment — which includes regulatory services — generated approximately $6.5 billion. Chart 1 shows the relative U.S. market share of each contract R&D service segment. In the aggregate, companies operating in the overall U.S. contract R&D services market employ approximately 154,000 people and were founded more than 17 years ago. The typical company is privately-held, generates $10 million ($US) in revenue annually and is operating in 1.4 service areas. The CMC and Non-Clinical Research segments have the largest number of companies providing services as shown in Chart 2. An estimated 1,274 companies in the U.S. offered CMC services in 2011, and 1,205 companies in the U.S. offered Non-Clinical Research Services. 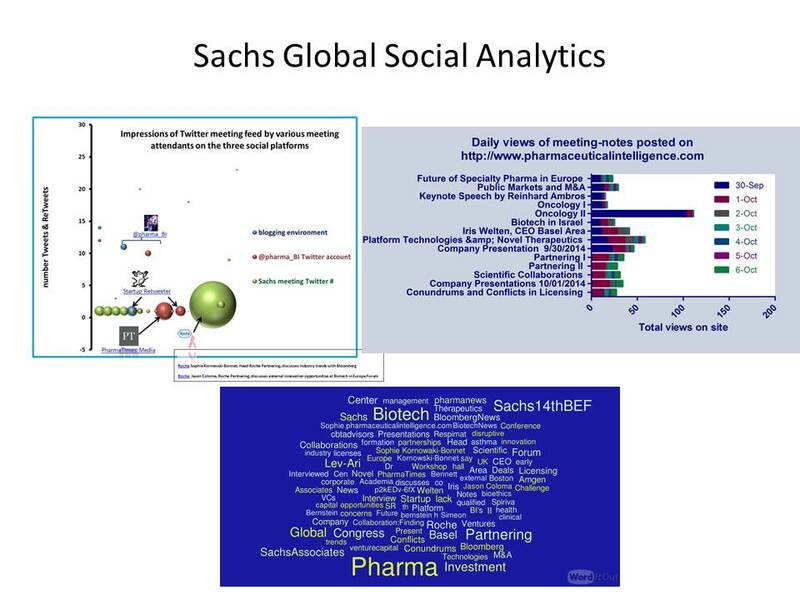 The Clinical Research segment had 643 active companies in the U.S. providing services in 2011. The majority — 69% — of contract R&D service providers overall are privately held companies. CMC and Non-Clinical Research services segments have the highest concentration of publicly traded companies at 47% and 52% respectively. Approximately 17% of all companies providing Clinical Research Services are public. Chart 3 depicts the proportion of public to private companies in each major U.S. contract R&D services market segment. Applied Research Services and Other Services U.S. market segments are the least mature and most productive segments, as reflected in Table 1 and Table 2. Companies in the Applied Research Services segment are the youngest, the most likely to be privately held, and the smallest. As a more nascent segment, revenue per employee in the Applied Research Services segment is one of the highest, at $267,000. The Other Services segment is also relatively young, with a high concentration of privately held companies. Revenue per employee in this segment is higher than any other U.S. market segment, at $284,000. Individual companies in the Clinical Research Services and Other Services segments generate more revenue per company and have relatively higher levels of employee productivity. The CMC and Non-Clinical Research Services segments are the most mature, with the highest proportion of publicly-traded companies, the highest average number of employees and the lowest relative employee productivity. This initial Tufts CSDD study sizes the overall U.S. contract R&D services using a systematic bottom-up approach based on actual company data whenever possible and imputed data based on benchmarked actuals. The overall U.S. market for the 15 highest concentration geographic areas — as defined by MSA — is estimated at between $32.5 and $39.5 billion. Assuming that these geographic areas represent 75% of the total U.S. market, and that the U.S. market contributes 50% of contract services worldwide, Tufts CSDD estimates that the total global market for all contract services supporting prescription drug R&D is $90 billion to $105 billion. The total global market for contract R&D services therefore is more than five times larger than commonly cited figures. 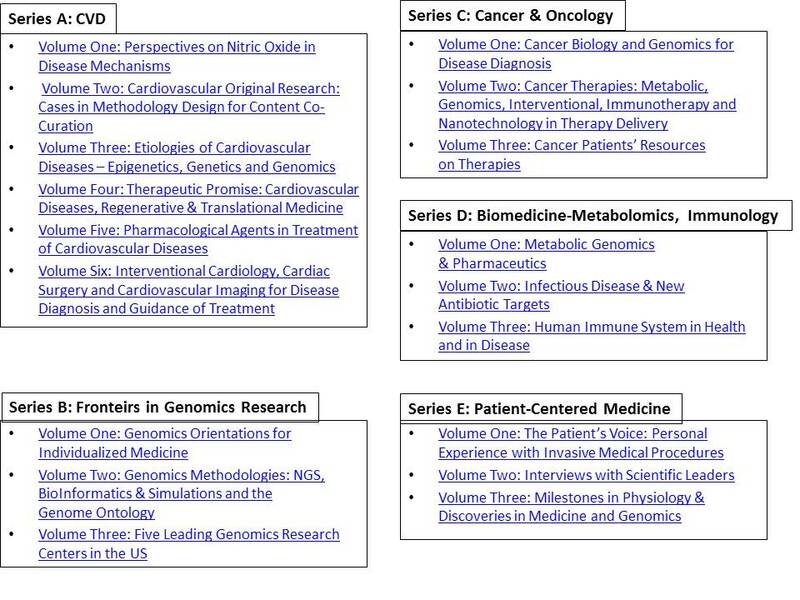 Adjusting the service areas to adhere to traditional market definitions established by the investment banking community, the Tufts CSDD figures for the Clinical Research and Preclinical Research markets are consistent with those published by financial analysts (see Table 3). It is highly likely that the overall market and individual segment sizes are larger than the conservative estimates presented in this paper. Tufts CSDD acknowledges the limitations of usingHoovers.com to characterize the high proportion of privately held companies, as Hoovers tends to present ultra-conservative figures. In addition, there are some limitations to using imputed data within service area revenues, as there is a tendency to inflate the smallest company revenue. However, using our estimates combined with actual data from public and some private companies helps to mitigate this limitation to some degree. The major market segment definitions and service areas that comprise them are a useful approach to organizing contract services companies and it may provide a valuable framework for future analyses. The Tufts CSDD study finds that all of the market segments are accommodating very large and highly diversified publicly traded companies and many small, specialty companies. CMC and Non-Clinical Research segments are the most mature with the oldest relative companies, the highest proportion publicly traded, and the lowest levels of employee productivity (e.g., revenue per employee). Segment maturity is a function of historical receptivity by pharmaceutical, biotechnology and medical device companies to outsource high fixed cost, manufacturing and labor-intensive activities that are deemed non-core. Relative to the other segments, the Clinical Research Services segment is one of the most productive with the highest proportion of privately held companies. The Other Services segment remains too diverse, making it difficult to characterize this segment adequately. In the future, Tufts CSDD will look to refine the definition of this segment to ensure that it is a more homogeneous group of companies. At the present time, Tufts CSDD is analyzing contract services company data by geographic cluster to better understand the economic impact of each market segment locally. In addition, Tufts CSDD plans to apply this more robust methodology to sizing the overall contract services market in Europe and in other major global regions. Drug and device innovation is evolving and re-inventing itself continually. As R&D costs rise, operating and regulatory complexity increases, and mergers, acquisitions and consolidation continue, the use of contract service providers as integral and integrated sourcing providers will similarly continue to grow. It is our hope that the analysis and results contained in this article will play a role in improving future assessments of the size and structure of the outsourcing landscape. Kenneth Getz, MBA, is Senior Research Fellow and Assistant Professor at Tufts Center for the Study of Drug Development. He can be reached at kenneth.getz@tufts.edu. Mary Jo Lamberti, Ph.D., is Senior Project Manager at Tufts CSDD. Stella Stergiopoulos is project manager, Tufts CSDD. Adam Mathias is Research Analyst, Tufts CSDD. This project was funded by an unrestricted grant from the Kansas Bioscience Authority (KBA). In 2007, Pfizer, the pharmaceutical company, closed its research and development facility in Ann Arbor, Michigan, displacing 2100 workers. In 2009, the University of Michigan purchased the vacant site and expected to create two to three thousand jobs over ten years. At the time of the sale, Ann Arbor Mayor John Hieftje expressed mixed emotions. On the one hand, he said in a statement, “If the University of Michigan is able to greatly expand life sciences research in Ann Arbor it will have far-reaching long-term economic benefits for the whole region.” On the other hand, Mayor Hieftje told Crains’ Detroit Business newspaper, “[The deal] has troubling aspects for local government”. Hieftje was referring to the $14 million in local taxes paid by Pfizer, which will not continue since the University of Michigan is a tax-exempt organization. The Ann Arbor story is not unique. According to the US Bureau of Labor Statistics, the pharmaceutical industry shed 35,000 in the United States in 2010, the most recent year for which complete data are available. Cities throughout the US were burdened by plant closures. Ann Arbor was luckier than most cities. The University of Michigan employed about 1,700 workers at the former Pfizer site at the end of 2011. These workers are doing much of the research formerly done by Pfizer — and this gets to the heart of the matter. Big pharma companies are abandoning basic drug research, leaving the federal government and universities to pick up the slack. According to the August 2011 issue of the journal Nature Reviews Drug Discovery, the decline of prescription drug research and development R&D is the result of 15 years of continuous industry consolidations and the drive by drug manufacturers to maximize profits. Profit is another reason big pharma companies are abandoning basic research. Over the past couple of decades, big drug firms competed to produce blockbuster drugs that yielded huge payoffs. Drugs such as Merck’s Vioxx and Pfizer’s Lipitor generate several billion dollars in annual sales and reap big profits for their makers. The fierce competition leads to costly duplication of work with as many as 20 companies vying to be the first to come out with the next blockbuster drug. The stakes for drug companies become higher as patents expire for popular and profitable drugs and revenue streams dry up. The potentially enormous profits of a breakthrough discovery, however, are proving too elusive to offset the heavy upfront costs of basic research and development, an estimated 10 to 20 per cent of total expenditures. As a researcher told the Rochester Business Journal, “The days of the blockbuster drug are over”. Businesses survive by making money for their shareholders, and when part of a business can no longer reliably generate profits — in this case, basic drug research — the unprofitable part is understandably jettisoned. This makes good business sense, but poor public policy. People need pharmaceuticals — in many instances, it’s a question of life or death — and so the federal government has had to fill the void left by drug companies’ retreat from basic and early-stage research. Over the past few years, the federal National Institutes of Health has invested hundreds of millions of dollars to build a drug-discovery infrastructure. Most of the federal expenditures have been used to establish a network of 60 “clinical translational centers” at research universities. These centers are changing the direction of pharmaceutical research and creating new opportunities for public-private collaborations. 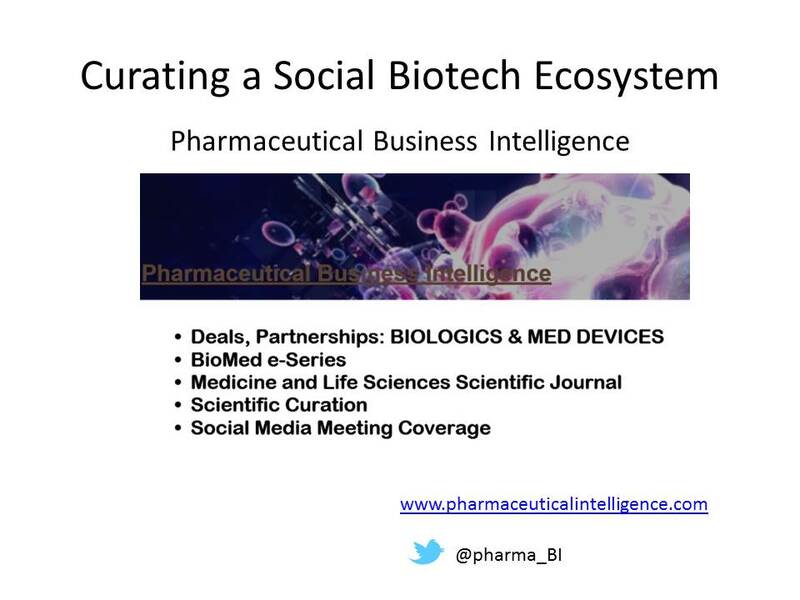 In essence, the emerging drug-development model in the USA has big pharmaceutical firms coming in at a later stage to market and distribute drugs that have been discovered and tested by university researchers and small, private biotech companies. The emerging model promises to greatly expand opportunities for universities to earn royalties from pharmaceutical companies. The federal funding for “translational” research also incentivizes entrepreneurship at universities. Universities that develop and hold patents are expected to translate that knowledge into jobs, not only by contracting with big pharma but also by incubating and spinning-off small, private drug-development companies. In the federal model, big drug makers will strike licensing deals directly with universities or with small companies, primarily university spin-offs. One potential benefit of the new model is that entire categories of drugs previously ignored by big pharma because of their low-profitability may now be brought to market. Federal monies are helping build a research infrastructure at the university level to bring basic discoveries to market as well as catalyze broader economic growth. This requires a culture shift at both universities and businesses. Traditionally, a scientific advance by a university professor might end as a research paper read by a few colleagues in the same field. 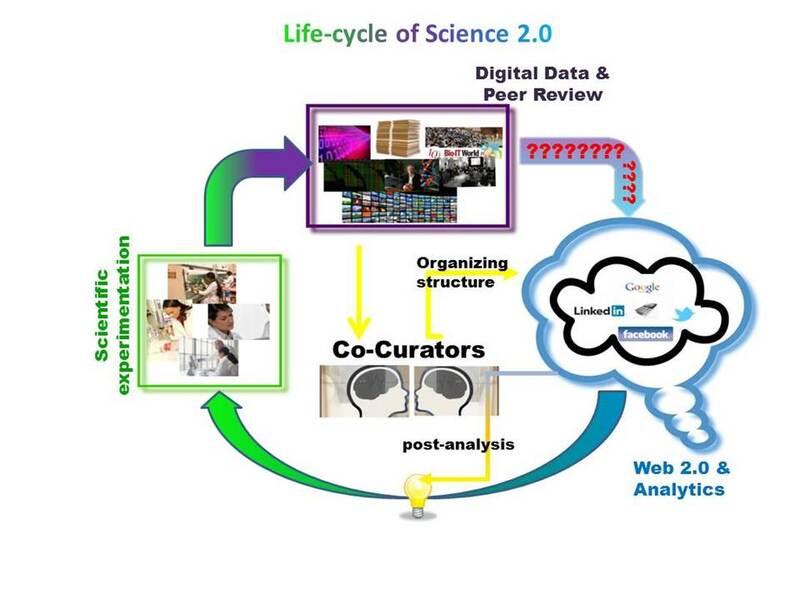 In the clinical translational model supported by the National Institutes of Health, scientists must collaborate with colleagues in different fields — the chemist with the engineer and sociologist and marketing professor, for example. Drug companies also have to discuss their research and results with academics and with their counterparts at different drug firms. They can no longer label such information as proprietary and keep it to themselves. Critics of big government should take note: when businesses contract, government often has to expand to protect citizens. Businesses may create jobs, but they will also pass their costs to taxpayers when they can. Large drug companies consider delivering a return to shareholders their first duty, and therefore cut R&D that drains short-term profits. But short-term business sense may threaten public health and even the profitability of corporations since, over the long-term, a less-healthy labor pool could drive up the cost of doing business. And sometimes government requirements and mandates, such as the clinical translational research model, can spark economic growth. According to Dr. Karl Kieburtz of the University of Rochester, one of the first universities to be funded by the National Institutes of Health, “We are looking at many things, surgical devices and other things, not just drugs.” The University of Rochester, which purchased a building that Wyeth vacated for research, has already spun-off 30 companies. As multinational pharmaceutical companies unload more of their marginally-profitable but publicly-indispensible activities, the public and nonprofit sectors will have to fill the gap. The effect on US city governments is uneven. Cities will lose jobs and property tax revenues when pharmaceutical companies close their R&D facilities. Cities fortunate enough to have a university with a translational research center should eventually recover their losses and more.